What What is printer leasing and who is it suited to? What’s the difference between leasing and renting a printer? What is printer leasing and who is it suited to? Printer leasing facilitates bit-by-bit payments to essentially hire, rather than buy, a printer. Printer leasing is a good option for those businesses in the position to confidently say that they’ll need the printer they lease for the next three or so years. But, if you think that your business might need a more temporary printing solution, then you’re probably better off renting rather than leasing. Printer leases are most beneficial to businesses that see printing as an operational focal point. For standard, day-to-day office admin, it’s likely that you’ll just need the basic printing functionalities, and could therefore manage with an office photocopier that has a printing function. Take a look at the Startups page on photocopier leasing if you think this might be a more suitable option for your business. What happens when the printer lease ends? What’s the difference between renting and leasing a printer? While leasing and renting are similar, there are some big differences between what it means to rent, and what it means to lease a printer. Renting a printer is another affordable way to access costly equipment. Often set-up on a monthly rolling contract, when you rent your printer, you can terminate that contract with as little as 30 days’ notice. This flexibility and lack of long-term commitment can make renting the preferred option for start-ups. However, this works both ways. As convenient as the short-term fix is, your supplier can also recall their equipment with as little as 30 days’ notice, making printer rental a conveniently temporary, but much less secure option. Also, when you lease your machine, you often have the option to buy the photocopier with a final lump sum at the end of the lease. This is not the case with a rental contract. Small businesses can enjoy a whole host of benefits by leasing a printer. For example, instead of making a hefty outright tech-purchase, you can free up your cashflow and invest in other areas of your business, whilst still having access to the equipment you need. Ever wondered what you do when you have to get rid of a printer? There’s no printer symbol on the recycling box, nor would a printer fit in your average office bin. 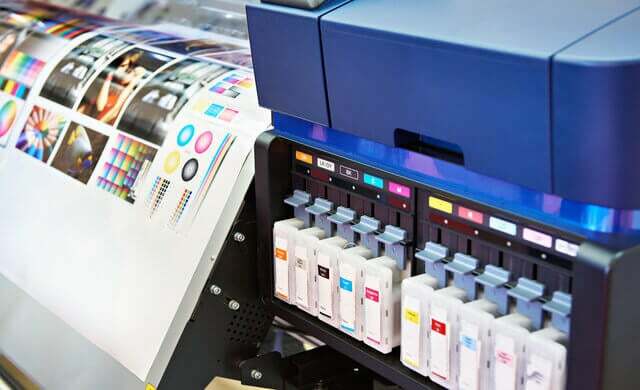 Disposing of old kit like printers is a hassle, which can be avoided if you choose to lease – the lease agency will sort all of that faff out for you, saving you time and resource. What’s more, leasing a printer means that your business will stay abreast of any tech advancements. Once your lease is up, you can upgrade to a new, more up-to-date model, rather than having to save and fork-out for a new printer when your current one gets too old and tired. No initial investment – printers are expensive, and not all businesses have the funds available to make the investment. Leasing removes the substantial initial outlay, but still delivers the goods. Cashflow – cashflow is key to any business, start-up or otherwise. Leasing a printer helps to free up that all important cashflow, keeping money where it matters rather than paying out a large sum in one go. Tax – did you know that leasing a printer can help to reduce your tax bill? As lease fees can be deducted as a regular business cost, they are more beneficial than capital allowances (a claim you can make when you buy assets that are kept for use in your business). You may be able to claim the payments as a business expense, making your monthly payments 100% tax deductible. Note: for sole traders or partners with an income of £150,000 a year or less, a different system may apply when it comes to tax. If you buy a printer outright, you can claim up to 40% of the purchase price against tax in one year, and 25% of the outstanding balance after that. When you lease, you can claim everything you pay on a monthly, quarterly, or annual basis. Stay up-to-date – Leasing a printer will allow you to take advantage of technological developments at a time and cost that suits you, rather than having to pay to upgrade to a whole new model. Maintenance – Printers are complex pieces of equipment that can be a pain to try and fix. But when you lease your machine, maintenance often comes as part of the package, taking the stress out of any admin hassle. Many contracts also offer the option of including toner refills. End of contract flexibility – Once you reach the end of your lease agreement, you’ll have the option to end, renew, or upgrade your lease, or even buy the printer. Easy financing – Because the financing options for lease agreements are usually provided by the printer supplier themselves (or their chosen third-party finance company), lease agreements are usually much easier and faster to secure than a bank loan. Every business will have their own printing requirements and their own unique budgets. Below are a few of the top printers available to lease without breaking the bank. The TASKalfa 1800 is a desktop A3 laser printer, best suited to small businesses or home offices. Great for low volume, high quality printing. Duplex (double sided) printing is also available, which helps save on paper costs. Designed for small businesses or medium-sized offices, the imageRUNNER 2520’s decent print speeds and economical toner use offer cost-effective monochrome printing. The imageRUNNER 2520 also meets Energy Star criteria, meaning it’s extremely energy efficient. 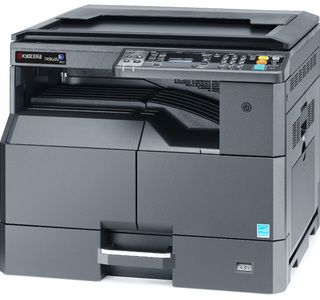 A high-performing multifunction printer designed for smaller workspaces, the CLX-9201NA can print 20 pages per minute. 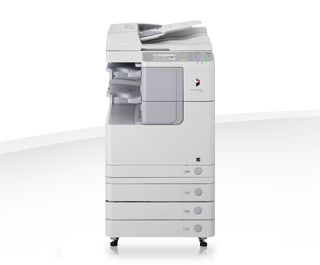 A wide range of finishing options and duplex printing makes this machine a great option for busy offices. Easy-to-use and perfect for small businesses, the Utax 206ci multifunction A3 laser printer is both economical and quiet. Average print speeds are compensated by its HyPAS technology, which helps users to customise how the machine runs. Do you need colour or mono printing? Do you need to print in colour, black and white (monochrome), or both? Colour options are marginally more expensive, and the toner needed for colour inks definitely bumps the prices up. Think about what you’ll be printing: is colour necessary? Slow and steady or fast-paced? Printing speed is measured in pages per minute (ppm) and varies between manufacturers and models. 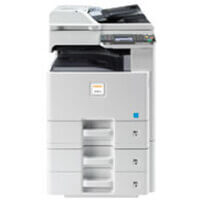 Generally, print speeds of 20 ppm or below are more suited to smaller offices with lower print volumes. Anything higher will be better suited to medium-sized or growing offices. Very high-end machines can produce a whopping 100 ppm – ideal for large businesses, or offices with high print volume demands. Do you work mainly on A4? What about A3, or even A5 and A6? You get the picture. The machine you choose must accommodate all of your printing needs, taking the hassle out of resizing print-outs yourself. The size of the paper you use will also impact the size of the printer. Make sure you’ve got the space before you invest in a crazy-big A1 printer lease. Most printers connect to WiFi, which facilitates remote printing. However, if your printer can’t connect, you’ll have to use the old-fashioned ethernet cable method, which will have an impact on where in your office your printer lives. Note: USB connections are sometimes available. Printers can be very big machines, and they aren’t the prettiest either. Make sure the model you choose will fit spatially and, if groovy office interiors are your thing, you might want to consider its aesthetic placement too. High-volume machines are usually pretty hefty and come as floor-standing models. Low-volume machines are often smaller and can fit on a desk. Leasing allows you to long-term hire a printer, which is ideal for those businesses looking for a happy medium between renting and buying. Leasing provides security but does away with the financial responsibility that comes with an outright purchase. No matter the size and scope of your business, one thing is for sure: you’ll get a better deal on your lease if you compare quotes from multiple providers. Now you know what leasing a printer entails, and have considered what your printing expectations will be, it’s time to get some direct information from printer leasing suppliers. To get tailored leasing quotes today, simply fill in the form at the top of the page and speak to a supplier without delay.